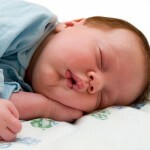 Parents of non-sleeping babies will do ANYTHING to fix the problem…. Why not to the BEST THING? Babies go through a lot, even before their birth into this wild and wonderful world. Near the end of pregnancy, there is less and less room at “The Inn”, especially if Mommy has any spinal, nervous system, pelvic or muscular imbalances that reduce available baby space.Why do you think you keep getting kicked and punched from the inside? And then there’s that whole delivery process, sometimes being unintentionally pulled and jostled, possibly causing unseen imbalances and potential concerns. Removing interference from babies’ Nervous Systems allows for their rest, relax and rejuvenate system (parasympathetic nervous system) to flow well = better sleep (and lots of other benefits) for everyone. When is the best time to have your babies assessed and make necessary corrections? As soon possible! If you are sitting on a sharp tack, when do you think would be the best time to remove it? Ask most adults…. imbalances get worse over time, not better. Interested in healthy neurological development? That IS the nervous system, which is housed in the spine. When we talk spine, nervous system, balance, function, this is what we are talking about. It is what we do, it’s what we are passionate about! Wouldn’t you rather be attending to wellness, nourishment and optimal development rather that trying to correct issues and imbalances that have become significant enough that they are obvious (and often obviously uncomfortable for baby)? What are Chiropractors checking babies for? Reflexes (any delays or imbalances? ), milestones, coordination etc, etc. What is an adjustment/correction like? What’s it like for Baby? First of all, Dr. Gerber is uber awesome with babies and kids of all ages! With a life time of wisdom and experience with little ones, 20 years as a family wellness doc and extensive, specific pregnancy/infant/pediatric training, you’re in the best hands! Most of our babes, toddlers and kids do a whole lotta giggling during their assessments and adjustments. Isn’t that the best sound ever? We love it! Ready to book? Call or email to get started!